Ultra Fast Booking, Sleek New Design, Exclusive Offers & Real Time Weather. 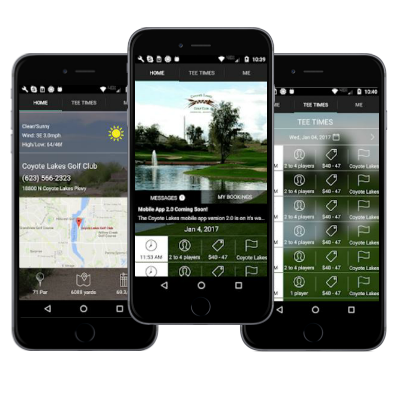 Our mobile app is already the fastest way to reserve your tee time and it just got faster. Once you’ve registered and logged in, the updated app remembers your information. Just input the date you want to book, click the tee time you want, and confirm your reservation.